The mk5 Isolator Earphones ($69.99) by Etymotic Research are a solid purchase for anyone that wants to dip their toe into audiophile gear without breaking the bank. These earbuds are designed in a way to firmly fit in one’s ears, decreasing the tendency for the buds to fall out the second that they are jostled or when the wearer decides to start any sort of fitness-based activity. For those that are concerned about the overall cleanliness of the mk5s, they can easily be wiped down and restored to a factory sort of immaculateness. We evaluated the mk5 Isolator Earphones over the course of 100 hours to ensure that this Etymotic Research product was operating at peak efficiency. We were surprised that the earphones sounded as good immediately after opening them as they did after our months-long evaluation process. Where many products require some period of burn in, the mk5 Isolator Earphones were able to faithfully recreate a range of voices without sounding tinny or otherwise muffled. We are pleased to report that the mk5s could replicate the high and low sections of a wide array of genres. Whether it was bass-heavy rap tracks, sizzling guitar solos, or classical music, we were able to hear the tracks as the initial musicians intended. The 98% noise filtering of the mk5s made it easy to drown out the outside world and for an individual to focus on whatever task they intended. Taken together, these features provide tremendous value for the $65 price tag that Etymotic Research has pegged them at. 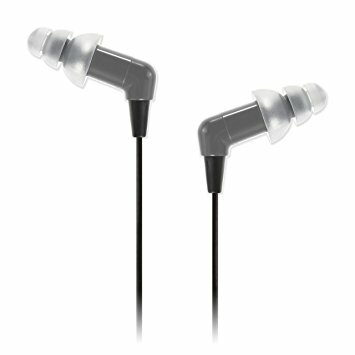 The build quality makes it easy for these earphones to be secreted away in a bag, purse or car and to deal with every jostle, ding, and hit while still operating at peak efficiency. For additional information about the entire range of products that Etymotic Research and the mk5 Isolator Earphones in particular, check out their main domain. The ER social media profiles provide up to date information about new products. Next Next post: How to Get Your Toilet Repaired by a Plumber?